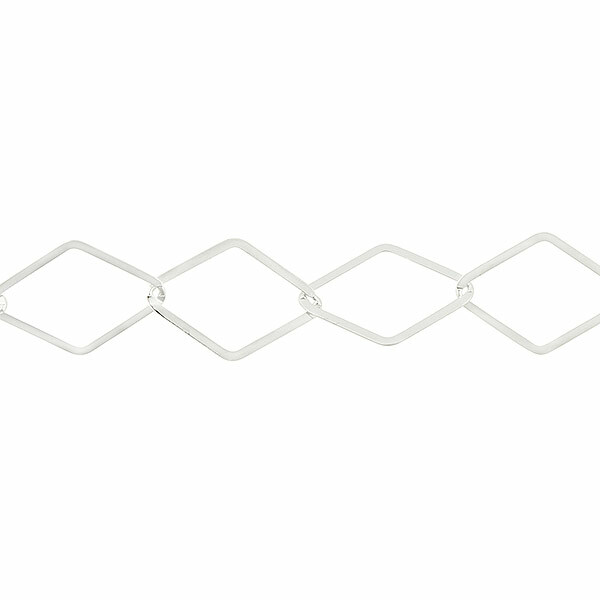 Part of our premium line of plated chains, this 25mm x 18mm diamond shaped link cable chain features a heavy(2.5 micron) plating of sterling silver and soldered links, making it both unbelievably brilliant as well as durable. All this comes at a price point that makes it possible to work into your designs as your see fit. This chain works great for necklaces, especially when you section and station your Murano glass beads through the length. Sold per foot(footage chain does not come with a clasp).